“The United States is no longer our privileged partner. Now the privileged partner is China,” Ecuadorian Foreign Minister Ricardo Patiño stated at the close of the third summit of the Community of Latin American and Caribbean States (CELAC) in Costa Rica on January 29. 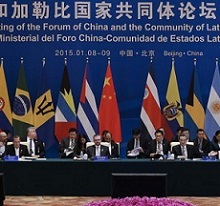 “China is willing to work with Latin American and Caribbean states in the long term and with a strategic outlook, in order to build a new platform for collective cooperation between both sides,” President Xi Jinping stressed at the opening of the first China-CELAC forum in Beijing on January 8 (Xinhua, January 8, 2015). The Beijing Declaration, signed by the 33 foreign ministers of CELAC, provides a five-year plan for cooperation and agrees to hold a second meeting in Chile in 2018. The two meetings were interrelated. The Chinese government announced its intention to double bilateral trade with the region to $500 billion by 2025. Looked at carefully, that’s not so much, given that bilateral trade increased 22-fold from 2000 to 2013, making China go “from a minor to central player in foreign trade in the region,” as evident in the CEPAL report from the first CELAC-China forum. In a speech at the forum, President Xi declared that China will invest $250 billion in the region in the next decade, which will focus not only on primary resource extraction as before, but also infrastructure (transport, railways, ports and roads), technology projects, and research and development. 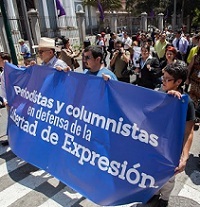 CEPAL’s director of international trade and integration Osvaldo Rosales stressed China’s commitment to upholding a relationship “of equality, mutual benefit, and a model of open and inclusive cooperation,” which should translate into a central aspect for development in Latin America and the diversification of its exports (Xinhua, January 13, 2015). As recently as four years ago, relations between Latin American counties and China were focused on Asian interest in the purchase of raw materials: oil, hydrocarbons, and minerals. In some cases China overtook large sums to ensure its oil supply, as in the case of Venezuela, turning the axis of exports from the US to the Asian giant. Between 2005 and 2013, [Venezuela] received $50 billion, mostly in exchange for oil, but also as credits for housing and infrastructure construction (Valor, April 4, 2013). Other sources claim that the oil credits total $40 billion (Econochina.com, January 11, 2015). Oil and mineral negotiations have been similar for Ecuador: fresh money in exchange for commodities, which allows governments without access to international credits cash, to be able to roll out the state machinery. In this case, $8 billion. According to vice president Jorge Glas, “China lends without IMF conditionality,” ensuring the relationship is not conditioned, and more diversified, including support for a refinery in the Pacific and at least seven hydroelectric plants (Econochina.com , January 26, 2015).Thus the Asian country has been ensured a steady flow of raw materials, on which its booming industry and its increasingly better-nourished population depend. Two bits of information: GDP per capita grew from $205 in 1980 to $4289 in 2010; 46% of GDP is industrial. For this reason, 83% of acquisitions by Chinese companies in Latin America were centered on energy and natural resources. China consumes 36% of the global oil exports, 19% of the mineral exports, and 20% of fuel exports. It is the world’s leading consumer of aluminum, copper, tin, zinc and soy, and second in sugar and oil. This enormous scale of consumption shapes imports and trade relations with Latin America. Industrial growth translates into changes in its export patterns. China reports strong growth in the sale of capital goods and research and development intensive products, to the point that it accounts for 20% of global capital goods exports. This type of trade (raw materials for manufactured goods) consolidates historical imbalances affecting the region. According to CEPAL, the export canasta of Latin American countries to China is far less sophisticated than to the rest of the world. In 2013, primary products accounted for 73% of exports from the region to China, compared to only 41% of shipments to the world. In contrast, manufacturing accounted for only 6% of sales to China compared to 42% of the world. In turn, 92% of imports from China are manufactured goods, compared to 69% from the rest of the world. All countries in the region export fewer products to China than to other destinations. In 2013 Uruguay exported 1387 different products to CELAC countries, 434 to the US, 1024 to Europe, and only 106 to China. Brazil and Mexico, countries with more diversified exports, had a similar pattern: almost 4000 products sold to CELAC countries compared to just 1000 to China. The truth is that until now, in the model of China’s trade relations with Ecuador and Venezuela–two key partners–little has changed from trade patterns installed during the colonial period. A modern 27-story tower topped by a rectangular arch, nestled in the heart of Puerto Madero, is the first sight for travelers arriving by ship to the Buenos Aires port. At the top of the green building, four letters are visible: ICBC, which stands for the Industrial and Commercial Bank of China. [The bank’s] portfolio took over Standard Bank, which occupied the building until 2011. It is the world’s largest bank in terms of market capitalization, profitability, and customer deposits. It is also the most valuable brand in the financial sector worldwide. ICBC Argentina inherited U.S.-based Standard Bank’s 103 branches in 17 provinces and three thousand employees, a million customers, and more than 30,000 companies, coming in at seventh in the ranking of private banks in Argentina (Crónica, April 8, 2013). In some way it symbolizes a presence that goes far beyond those of open pit mining and massive soybean imports. 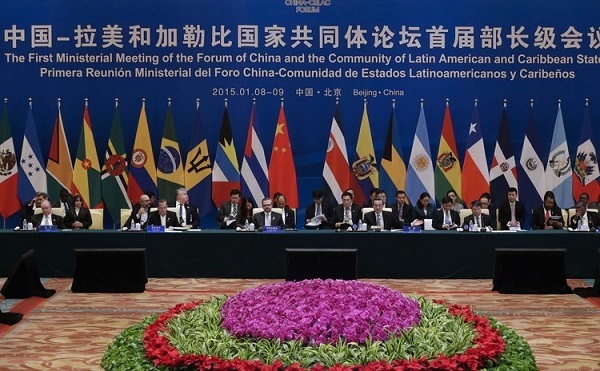 In 2010, there was a shift in China-Latin America relations. In the two decades prior, around $7 billion foreign direct investment from China came to the region. But that year recorded $14 billion in Chinese foreign direct investment, focused on two oil industry acquisitions: SINOPEC in Brazil and CNOOC in Argentina. High levels of Chinese direct investment kept coming in the last few years, mostly centered on mining and hydrocarbons but with a tendency to diversify. This year China financed the purchase of trains by Argentina for $10 billion (Valor, 14 September 2014).Investments in manufacturing have concentrated on Brazil. The trend is to install a plant after years of exporting their products to the country, according to CEPAL, to circumvent import restrictions. The inauguration of the first Chery factory in Brazil is going to open a new chapter. It will produce 150,000 vehicles per year with three thousand employees, export to the entire region, and open a technology research center in Jacareí, Sao Paulo state. We are witnessing a process of diversification, still incipient, that is leading Chinese capital to turn to infrastructure, services, and manufacturing. In Ecuador, mining and oil investments tack on contracts in public safety, public health, road safety and water. There are 20 Chinese companies with projects in ten sectors of the economy, funded by Eximbank and the China Development Bank (Planv.com, December 27, 2014). The Integrated System of Citizen Safety taken on by the Chinese technology company CEIEC installed hundreds of cameras on roads and in cities, with images linked and integrated with a network of institutions ranging from fire stations and police to emergency services and transit, as well as GPS systems and cameras in 55,000 buses. Chinese company CAMEC constructed the four largest hospitals on the coast (in Guayaquil, Portoviejo, and Esmeraldas), and provided 200 ambulances to the public health system. In the coming years, Chinese funding is, after long comings and goings, expected to put the Pacific refinery, the Quito metro, and more than 200 schools in place. The case of Argentina is, from the point of view of diversification, the most emblematic along with Brazil. In mid-2014 Cristina Fernández began a rapid rapprochement with China that gelled in the Supplementary Agreement of Cooperation in Infrastructure, approved by Senate in late December. China will have priority in areas such as energy, mining, agriculture, and industrial park development, plus tax advantages and direct public works concession without competitive bidding (Estado de Sao Paulo January 18, 2015). As part of the agreement, China approved a swap for $11 billion that increased Argentine international reserves and will be used for the construction of two hydroelectric dams in Santa Cruz province and plenty of railway equipment, including cars to renovate dilapidated trains. During Crisitina Fernández ‘s visit to China in early February, she agreed to support the construction of the fourth and fifth nuclear plants, in both cases with Argentine components (70% and 50% ). The president stressed that “Argentina wants to increase currency swap with China, welcomes Chinese auto and telecommunications companies to build factories in the country, and hopes for the participation of more Chinese companies in the exploitation of potassium and lithium resources in Argentina” (Xinghua, February 5, 2015). That agreement has triggered strong criticism in Brazil, as Argentina is the main market for Brazilian industry. “It was a Brazilian strategic failure,” said Klaus Müller of the Brazilian Association of Machinery and Equipment Industry. “The loss of a market for Brazilian products in Argentina to the Chinese will increase now, to the detriment of domestic industry” (Estado de Sao Paulo, January 18, 2015). Argentine imports of Brazilian products fell 25% in 2014. In the area of machinery, the Brazilian fall was 34%, compared with a 14% increase in Chinese imports. Brazilian business believes that 2014 was “the year that China’s influence on Argentina became more visible” (Valor, September 14, 2014). The truth is that the diversification of Chinese investment “to sectors other than extractive industries such as manufacturing, services and infrastructure” as promoted in CEPAL discourse, cannot move forward without conflict. Three quarters of Argentine exports to China are soybeans, and only 13% are processed soybeans. More than 70% of exports from Brazil (sixth industrial power in the world) to China are soybeans and iron ore. Changing this pattern will not be simple. Niches of real cooperation in the area of defense, however, are being generated. Venezuela developed a factory for small satellites (of up to a ton in weight) with China. In October of last year, Venezuela commission the construction and launch of the third satellite, “Antonio José de Sucre,” which will be its second intelligence satellite after “Francisco de Miranda” (launched in 2012), and the “Simón Bolívar” telecommunications satellite (launched in 2008). This year the Center for Space Research and Development in Puerto Cabello will open, where satellites will be designed, assembled, integrated, and verified for use in low orbits (defensa.com, February 2, 2015). There is a link between Chinese companies and the integrated defense system of Brazilian Amazonia, as well as with other defense matters with several countries in the region. In the same vein, China has just offered offshore patrol vessels to Argentina and Uruguay at prices well below those of Western countries, in addition to offering training and combat aircraft to Bolivia, Venezuela and Ecuador. 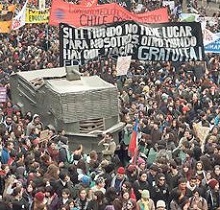 In her recent visit to Beijing, Argentine president signed “broad and ambitious defense agreements” that may influence the choices Argentina’s neighbors make in the future (defensa.com, February 2, 2015). Perhaps defense offers opportunities for relationships different from those Latin American countries have had with developed countries, for those who are just markets for their products. “China is becoming a world leader in technological innovation,” says Brazilian professor of economic policy José Luis Fiori, one of the most incisive geopolitical analysts (Outraspalavras, June 4, 2013). Following the example of the United States seven decades ago, “this advance is based on military research” as “dual” technologies–applicable to both civil and military industry–are developed. This indicates that China has left behind the period in which it grew through the copy of Western technologies. Chinese advances in microelectronics, computers, telecommunications, nuclear and solar energy, biotechnology, and aerospace show that cutting-edge research and innovation cannot be left in the hands of the market. Something similar happened with the United States before becoming an empire. Cooperation in such sensitive areas as the most advanced technologies can be a test to see if the Asian power that seeks to relieve the empire carries state relations capable of changing historical inequalities. “Explorando espacios de cooperación en comercio e inversión,” Cepal, enero 2015.